We Offer Non-Carcinogenic and Non-Volatile Organic Compound Treatment Methods Including Orange Oil and Borates! Why Do HOAs and Property Managers Choose Mariners Pest Control? We have grown into a specialty Home Owners Association and Property Management Termite Company. We have successfully treated many multi-unit properties, including 187 units at Rio East in San Diego and 89 units at Bonita View in Chula Vista, where the residents gave us a 100% approval rating! Our meticulous and state of the art methods have also saved more than 300 homeowners from having to evacuate for fumigations when localized treatment was not an option. 100% customer and resident satisfaction is our #1 goal! We have an in-house team of the finest carpenters to address any damaged wood replacement needs. We have an excellent and modestly priced continuing maintenance insurance plan electable at the expiration of the initial warranty. Protect all of your units and/or properties with one plan. 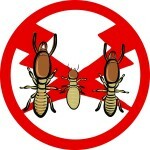 Schedule a FREE TERMITE INSPECTION today: Call 888-945-2847 or fill out our contact form. We proudly serve Orange County, Los Angeles County and San Diego County.